Over the past month—forget that—ever since I started college, stress has become a natural part of my life. As many ambitious college students can attest to, striving for more comes with a costly price. Before I began my so-called journey of self-discovery, I thought about how odd it was that the act of meditating seemed to become ‘in.’ It was another way that digital technology has integrated itself into our once seemingly plain lives. I also thought that simply doing nothing would be easy. Very quickly, I realized my body has so evolved that the simple was difficult. 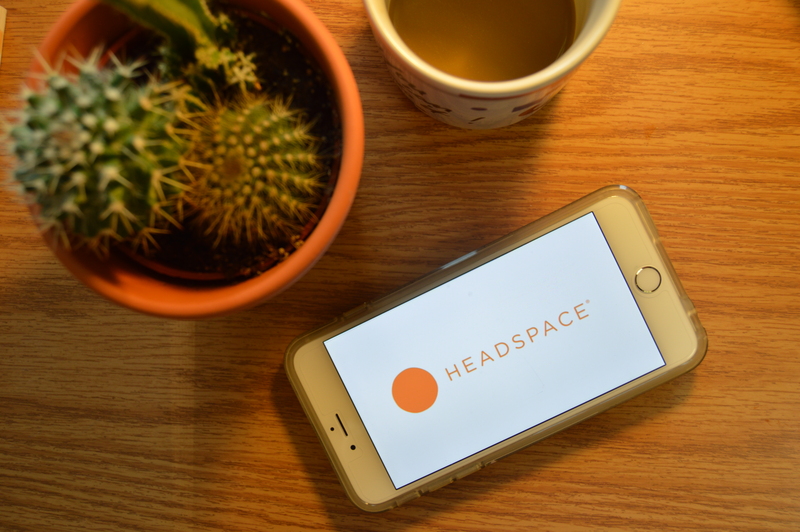 I downloaded Headspace from the App Store and immediately got to work. “Meditation made simple,” was the first few lines that greeted me upon launching the app. “Focus on what matters” to me and do it in just 10 minutes a day? I was already sold. I pressed ‘start’ allowed myself to relax. Listening to the soothing voice that came from my phone, I immediately noted a few changes: my breathing became increasingly slow, and I could hear myself. I don’t think I’ve heard myself all week. I usually wake up between 5 and 6 a.m., and I wanted to start integrating the app into my morning routine. It would be a way to prime my day, of sorts. Since I finished the first lesson the day prior, I continued my meditation journey. Greeted yet again by the soothing voice of Andy Puddicombe, founder of Headspace and tech-mindfulness guru, I let myself focus again. As I watched the sun rise, I could once again feel myself relaxing. Heck, I felt more relaxed than when I first woke up. By this time, I was really looking forward to my next rendezvous with the app. Again, around 7 a.m., I pressed play and allowed myself to meditate. During my first lecture class, I noticed how much more there I was; my mind did not wander to other thoughts because I had already primed myself for the rest of the day when I was meditating. I was focused, and thus, more efficient. Since I was busy in the morning, I tried the app when I got back home after my day’s work around 7 p.m. I was tense and stressed throughout the course of the day because of all of the work I had to do. I didn’t even have time to process all of the work ahead. But, when I allowed Puddicomb—did I mention he is a former Buddhist monk?—guide my meditation, I was able to let my mind think again. It’s as if all throughout the day, my mind was longing to process the information that had piled up. So, my overall thoughts on meditating, mindfulness and Headspace? Keep. We live in an increasingly stressful time, mainly because we as a growingly complex society have conditioned ourselves to exponentially work harder and more. In order to prosper and grow as humans, this is necessary, but it shouldn’t come with a neglect of health—physical and mental. Our brains are overly stimulated, paradoxically by the very device that houses the meditation app; therefore, giving our brain time to process it other than subconsciously during sleep, is vital.